Do dogs dream of flying? Cats most certainly do – the sky is full of crunchy snacks – but what's in it for a dog? Nevertheless, Claudio Piccoli takes pictures of flying dogs. 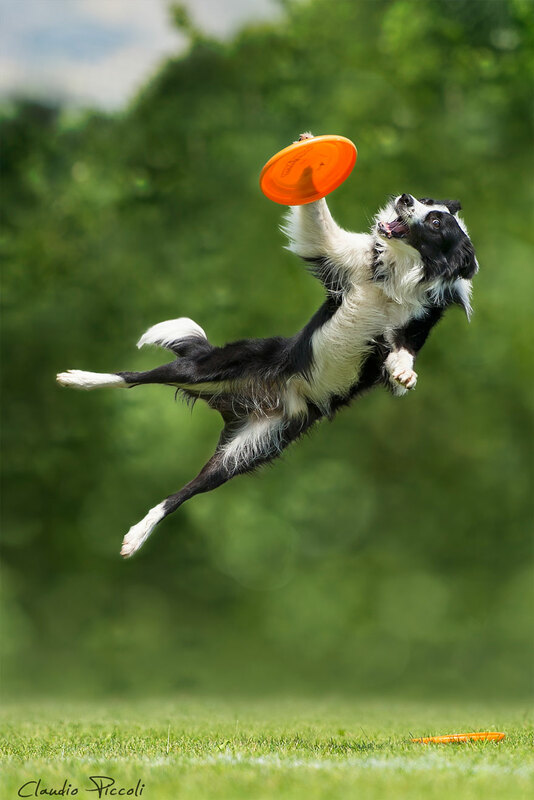 Or dogs that jumped real high in pursuit of frisbees. Late at night you can hear whispers in the kennels telling the story of Ruffian, a terrier that jumped so high he went into space… Piccoli's subjects are probably in no such danger, but they're sure trying (and, sometimes, failing)! Piccoli is a photographer from Italy and he likes, nay, loves taking pictures of dogs in action.